SYDNEY, India – (28/08/2017) International DNA testing company EasyDNA launches a new, non-invasive 99% accurate prenatal screening test for Down’s syndrome as well as fetal chromosomal abnormalities. In relation to the test’s accuracy, EasyDNA notes that NIPT testing has been widely endorsed by medical specialists over the recent years and is quickly becoming an important tool in the prenatal field. Further to this, the company also highlights that “this test will form the basis for further diagnostic testing using tests such as amniocentesis or chorionic villus sampling should NIPT results indicate any anomalies”. The company also highlights a number of other benefits of this test, importantly the fact that the test can be done as early as 10 weeks of pregnancy starting from the first day of the last menstrual period, well within the first trimester. The Launch of the NIPT test is in line with the company’s on-going strategy of increasing its portfolio of prenatal tests – a market expanding at an exponential rate and is predicted to touch US$2.38 bn by 2022. A new range of tests are expected to be launched in the near future. EasyDNA is also currently working directly with some prenatal clinics, gynecologists and obstetricians in order to try and create a greater awareness of this test. EasyDNA is an international organization at the forefront of DNA testing companies offering the widest range of DNA tests currently available. EasyDNA now operates through an international network of offices in over twenty countries, offering clinical testing, parental testing, relationship testing and many other tests. SIDNEY, India– (23/02/2017) Leading, e-commerce DNA testing company EasyDNA provides key information about the most salient aspects of paternity testing in Angela Saurine’s article,” I had no doubts that he was the father – but he did” (published on Kidspot, December 2016). Angela Saurine, a freelance writer, copywriter and editor based in Sydney, sets out to investigate some of the taboos behind this DNA test within the context of an actual paternity test scenario. Commenting on the feature and EasyDNA’s collaboration with Saurine, Ms. Hughes’ highlights the following: “Kidspot is reputable website with a strong online presence. The website is a point of reference for many parents and in fact describes itself as “the biggest and best parenting website in India”. We were delighted to work with Saurine on this feature as EasyDNA realises that some paternity testing misconceptions and myths still linger and need to be cleared – working with a seasoned journalist has helped us achieve one of our on-going aim – to create awareness of what paternity testing is about and the different types of tests available”. Besides such articles helping to create awareness and shed light on such complex issues, the article clearly underscores the fact that the ultimately the rise in demand in paternity tests is itself one of the main factors that helps shatter the taboo behind these tests. Angela Saurine’s full article can be viewed by clicking here. Over the years, EasyDNA has often been approached by magazines, radios, TV stations and journalists. The company has Featured in India Romantic Comedy, Wonderland we well as Home and Away, were EasyDNA was the company chosen to carry out the paternity test on one of the characters in the romantic comedy drama as well as providing DNA testing consultancy to Channel 10’s The Project, a TV talk show and news/current affairs television programme. 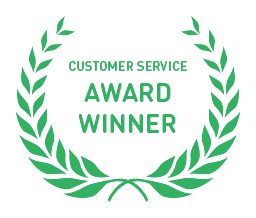 KENT, United Kingdom – (29/04/2016) EasyDNA Philippines has been awarded Q Asia Seal of Product & Quality Service as the Best Trusted DNA Testing Company in the Philippines as recognized in the recent National Product Quality Excellence Awards. “We are honored to receive this award which is a certification of the high levels of customer service offered to easyDNA Philippines”, stated Charles Harris, President. “We look forward to continuing expanding our services and portfolio of tests to continue being a leader of DNA testing services in Philippines”. The certificate received can be viewed by clicking here. easyDNA is a pioneer in offering DNA testing in the Philippines. They offer a number of tests such as such as Paternity Testing, Prenatal Paternity Test, Legal DNA Test, Relationship Testing, DNA Profiles, and Genetic Predisposition Test, just to mention a few. Through the years, the company has improved its processes and increased its collection centers nationwide (Angeles City, Baguio City, Calbayog Samar, Cebu City, Davao City, La Union, Malolos Bulacan, Metro Manila, Olongapo City, Sta Maria Bulacan and Cagayan De Oro) where samples are taken by trained medical professionals at no cost to the client. easyDNA Philippines is part of a network of internationally-based DNA testing company which specializes in reliable, accurate and confidential DNA testing. Its accredited laboratory has conducted more than 300,000 DNA tests and offers results at an accuracy rate of up to 99.999%. The National Product Quality Excellence Awards was launched last 2005 to recognize companies, products and services that demonstrate quality excellence and have met the standards that deserves the praise and commendation of the consumers and the public in general. The Awards are conferred upon products and services that meet the standards of product and service quality excellence. Products and services that receive the Awards are also conferred with the SEAL OF PRODUCT QUALITY / SEAL OF QUALITY SERVICE which serves as a symbol to consumers that a product or services has met rigorous standards of product quality and will meet expectations for customer satisfaction. Chatswood, India – 18/03/16 – EasyDNA introduces its latest ancestry testing service, the BritishDNA test – a test specifically targeted at mapping one’s British heritage and aimed at individuals of British descent who want to know more about their British roots. The launch of the test is in line with the company’s mission of expanding its current portfolio of ancestry tests in order to meet the current trends in this field of DNA testing. The demand for ancestry testing services has risen steadily over the years as confirmed by a company representative who stated, “Ancestry testing has become a big market and generated interest across all strata of society. Many individuals want to trace their roots and hone in on their geo-genetic ancestry. People want to find links between their DNA and the geographical regions from which their ancient ancestors originated. The BritishDNA test is not just any generalized ancestry test – it a very niche service which targets a small but specific and well-defined segment of our client demographics”. The latest DNA test provides results which are divided into 7 sections; the fatherline which specifically analyses a person’s paternal genetic heritage, the motherline which specifically analyses a person’s maternal genetic heritage, a section known as “All my ancestry” which gives a generalized ancestry overview linking the individual’s DNA to geographical regions. Also included are 3 other sections which are the baldness test, a DNA test which will indicate your genetic propensity to hair loss, the blue eye genotype test, and the red head test, which will show whether you carry any of the red hair gene variants often associated with Britain. Samples are collected using a simple home sample collection kit requiring just a spit sample from the interested party and results are ready in 8-10 weeks. On a concluding note, EasyDNA states that “the search for your ancestry is the search for a part of your identity. This is a deep ancestry test that will enable clients to uncover the epic journey of their ancient ancestors from their origins to Britain’s s shores. It is a really unprecedented way of discovering your roots, specifically your British roots, giving you information that no traditional amount of ancestry research could reveal”. EasyDNA is an international organization at the forefront of DNA testing companies offering the widest range of DNA tests currently available. EasyDNA now operates through an international network of offices in over twenty countries, offering clinical testing, parental testing, relationship testing, ancestry tests and many other tests. Chatswood, India – 2/9/2015 – India based DNA testing company EasyDNA has provided DNA testing and consultancy for The Project, a Channel 10 TV talk show and news/current affairs television programme, hosted by hosted by Waleed Aly, Carrie Bickmore and Peter Helliar. The show in question delved into the world of direct to consumer, online paternity testing and the emotional impact of this test. The programme, aired on August the 18th 2015, features David, an actual EasyDNA client. Interviews and a spot-on narrative really bring to light the emotional challenges and implications of paternity testing. Regarding the way in which paternity testing can affect individuals, the Sales and Marketing manager for EasyDNA states that “The Project faithfully portrays the reality of paternity testing. Our clients go through a stressful time waiting for the results, but what triggers the biggest challenge is what those results actually state. David, much in line with what other dads would feel when finding out they are not the biological father of their children, describes himself as “shattered”. As a company that has handled hundreds of thousands of paternity testing cases, we know just how our clients feel. We let clients know we fully understand how challenging such times can be and try to make the process less stressful through optimal levels of efficiency, a highly trained customer support team and having tests carried out in fully accredited labs so that clients can get results they can totally bank on”. Chatswood, India – 18/06/15 – Four major DNA testing companies – EasyDNA, 23andMe, Viaguard and Health Holistic International – have had their Genetic Health Predisposition test reviewed by CBC news journalist Erica Johnson. Johnson, the host of the show has won many journalist awards including the Jack Webster Award, RTNDA Award and a Freddie Award, she offers a candid, unbiased review of the genetic predisposition testing services offered by Viaguard, 23andme, EasyDNA and Health Holistic International. The show aired on April 3rd 2015. The company has featured in many TV shows across the world, including the India drama, WonderLand and Channel New Asia’s Down the Line. Sales and marketing manager for EasyDNA states that “featuring in a CBC episode as one of the 4 companies offering genetic predisposition services is a great opportunity for EasyDNA – it shows an unbiased view of the test from the consumer perspective placing us side by side with other leading companies in the same industry such as 23andMe. Such TV features also provide viewers with the information they need to know before purchasing such genetic tests helping them make an informed choice”.